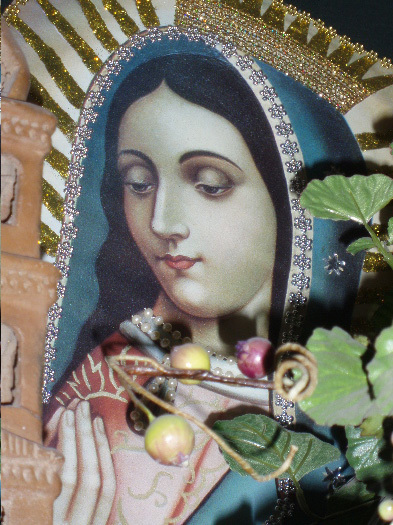 The Virgin of Guadalupe at a wee local restaurant near Asilomar, CA, in 2007. Photo by Sophia’s Children blog keeper, Jamie Walters. There are so many good points in this post from Laura Bruno, that rather than excerpt and link, I’ll just let you dive in and see for yourself. I’ve noticed this very phenomenon she’s highlighting in recent weeks (and even months) as well, where even in the (so called) consciousness- and engaged-spirituality communities we see not-so-veiled attacks on the Divine Feminine. So I don’t know what’s up with this trend (because we’ve been there, done that … not that it’s ever gone away). The re-emerging Feminine must really be gaining ground if such attacks are coming from these corners. Fellow oracles, astro-intuitive kindreds, and keepers of the flame — what’s your sense and your observations? Here’s Laura’s post – so important for all of us who have been devoted to reclaiming, embodying, and midwifing the re-emerging Feminine and also lifting the lid off the smear- and false-history campaigns (see the previous Sophia’s Children post, Un-Erasing ‘Women Who Know’ for more on that topic!). Read on for Laura’s post, and share your thoughts. 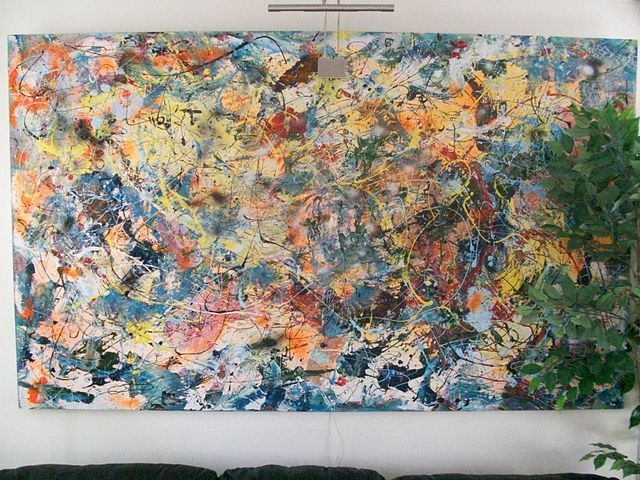 Modern Art Wall Dripped Free-Form, by the Creatively Maladjusted and Transformed Non-Conformist Aquarian Artist, Jackson Pollock (January 28, 1912 – August 11, 1956). Public domain image graciously shared by Tomwsulcor via WikiMedia. Yesterday was the birth-anniversary for the Rev. Dr. Martin Luther King, Jr. (and the day before my beautiful Capricorn Sun niece+God-daughter’s birthday!). I wrote this post (see link below) awhile ago, but the wisdom is fresh no matter what the day, month or year. And that’s no less so than right now (when a healthy dose of Aquarian-style creative maladjustment and transformed nonconformism would be good medicine as psychopaths run all willy-nilly, rough-shod rampant, leaving wreckage in their wakes). The Rev. Dr. King inspired many during this lifetime — when he surely walked this talk! — and his courage, vision, and daring Wisdom has inspired many more since. This particular bit of wisdom will resonate with any of us who have Aquarian-fibers running through our own unique tapestry (like moi! ), and it’s a theme right now with the Uranus square, extra Aqua energy coming through (with the Sun soon to join that party and send Aqua-trons our way), and the two — read it, two — Aquarius new moons coming up. And this particular speech of the Rev. 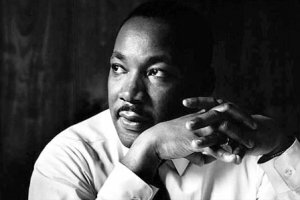 Dr. King is brilliant not just for what he’s saying, but who he’s speaking to (check it out). Prepare to stir your Aqua Stuff (or get acquainted with it for the first time and do some experimenting) and beam it out into the world (how else will this Aquarian Age come into being?). And if you need some believing mirror support, bolstering, light-sparking encouragement and spiritual direction — or help figuring out just which fabulous freak-flag is yours to fly — consider scheduling some Aqua-Authenticity-Sparking sessions with me, send me an email and have a look here. Until then, enjoy this inspiration from the visionary Rev. Dr. Martin Luther King, Jr. The Rev. Dr. Martin Luther King, Jr. [Photo from Seattle Times archive] Today is the anniversary of the Rev. Dr. Martin Luther King, Jr.’s epic “I Have a Dream” speech. In another of his powerfully challenging and inspiring speeches from 1967, he talked about when we might want to adopt a bit of creative maladjustment when what we would otherwise be ‘adjusting to’ (and thus empowering) is, well, pretty much normalized insanity.